Knitting a pair of socks is fun and addictive. 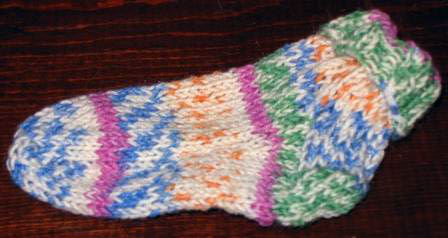 This is a 4 hour class to learn the basic construction of a sock, by knitting a baby sock, using double point needles. Go from cuff to turning a heel, making a gussett, shaping a toe and grafting.